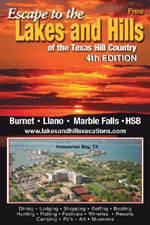 TEXAS HIGHLAND LAKES Tourist Information - The Highland Lakes region includes Marble Falls, Burnet, Llano, Kingsland, Spicewood, Horseshoe Bay, and other Texas Hill Country towns near Lake Buchanan, Lake LBJ, Inks Lake, Lake Marble Falls and the Llano River. Click on one of the lakes in the map or . . . Adventure, recreation, fun in the sun and hill country hospitality await you in every Highland Lakes community. 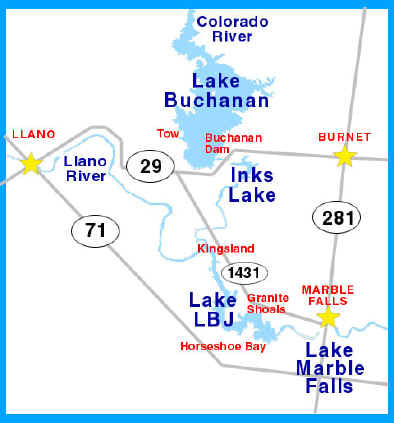 We invite you to come enjoy Lake Buchanan, Inks Lake ,Lake LBJ, Lake Marble Falls the Colorado River and the Llano River. 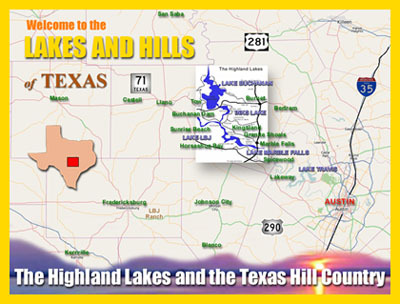 With over 1,800 square miles of lakes and hills, the Highland Lakes region of the Texas Hill Country is one of the largest playgrounds in Texas. 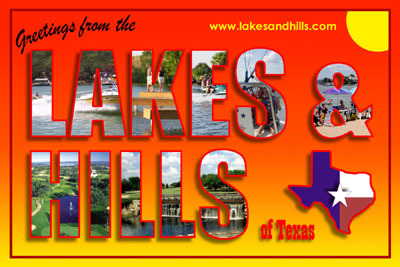 Make the Lakes and Hills of the Texas Highland Lakes your destination next vacation adventure destination. is the biggest playground in the state with everything under the sun for you and your family to see and do. Available at convenient locations around the region. and surrounding Texas Hill Country Highland Lakes communities.